Tyler is a Director of DSQ Pty Ltd, with significant experience in cadastral surveying, engineering surveying and photogrammetry. Tyler graduated from QUT in 2002 having completed a Bachelor of Surveying. He was registered as a Cadastral Surveyor with the Surveyors Board of Queensland in 2008. Tyler achieved certification as a Workplace Health and Safety Officer in 2006 and accreditation with Civil Aviation Safety Authority Australia (CASA) in 2014. Tyler worked on the Goro Nickel Project in New Caledonia in 2002, before returning to the Sunshine Coast and working in private practice Surveying firms. 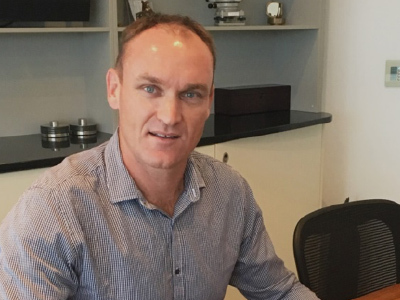 Tyler has been a business owner on the Sunshine Coast and Mackay since 2011 and has overseen various large scale projects in land development, high-rise building construction and pipelines throughout Queensland and Northern Territory. Tyler is DSQ’s Chief Remote Pilot for Unmanned Aerial Vehicle (UAV) operations, having completed many hours of UAV surveying and mapping for DSQ’s clients. Tyler maintains DSQ’s compliance with CASA regulations. Tyler is the Director responsible for DSQ’s Work Health and Safety Management System, and maintains a close involvement in cadastral, UAV mapping, engineering and pipeline projects for DSQ.